For flexible cleaning services that cater to your every need look no further than us, your cleaning expert in Shirehampton and Avonmouth. 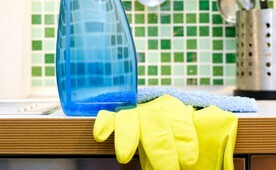 We provide top quality domestic and commercial cleaning. Whether you need a daily, weekly or one-off service, such as ironing or vacuuming for your home or office, or an end of tenancy, deep clean service we are the cleaner of choice for you. Our expert cleaners deliver domestic and commercial services to homes and businesses all across BS11. All of our cleaners are vetted proffessionals, and offer full references should you need one. Our top quality cleaning service is backed by an extensive service guarantee, to give you the confidence of a thorough, clean and safe job. Call our dedicated team for a free, no obligation quote on any cleaning requirement that you may have. Get in touch with our local team today, on 0117 345 9015.